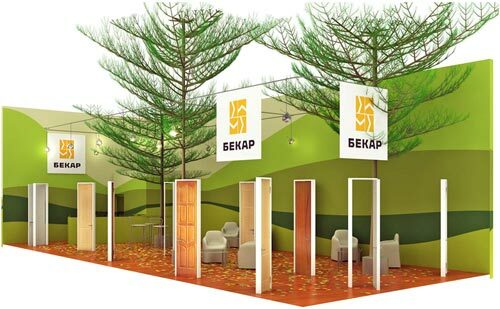 The exhibition stand of Becar 2000 was created for the 10th Moscow International Exhibition Interior, Finishing Materials, Design. 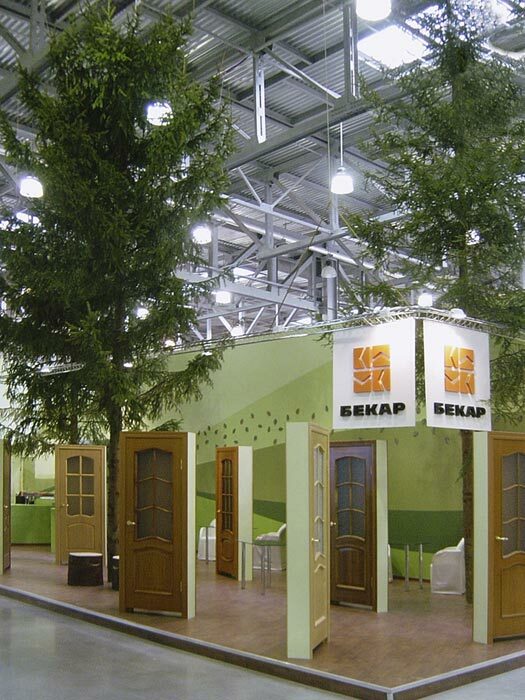 Designers thought, If doors be made of wood, then let trees grow at the stand. None of the exhibition visitors should turn a blind eye on the companys outpost. 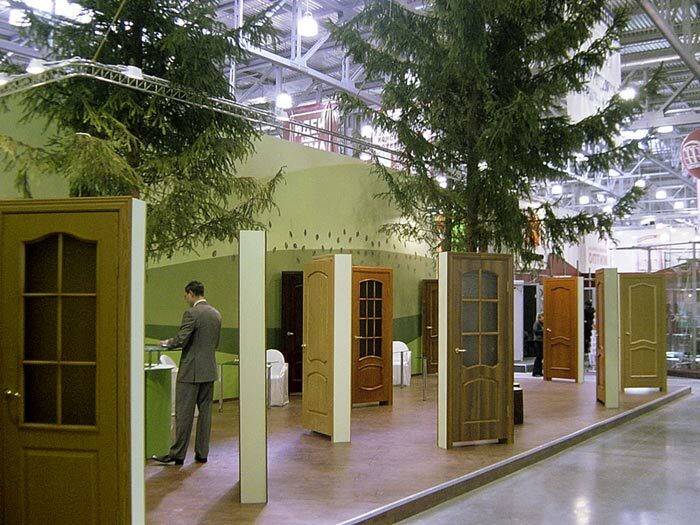 In the woods the doors can be viewed from all sides, pulled, pushed and opened.